Be the Buckaroo Belle of the Ball! From tees and bling to tack and chunky things, We have ya' covered Cowgirl! Facebook is requiring business owners to pay to have their status updates read by YOU. If I don't pay, status updates will only show up in 10% of news feeds. This is even if you have "liked" my page and let me know you want to see posts from Buckaroo Beads. BUT, there is a work around. Using your mouse, hover over the "Like" button on my Facebook page, right click, then check where it says "Get Notifications". Check NOW or risk the possibility of missing a great deal or even one of our give-aways! 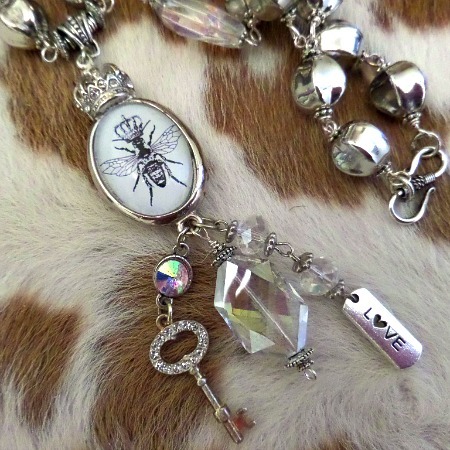 A cowgirl with attitude offers beads for the cowgirl jewelry maker. Turquoise, howlite, nuggets, rondelles, gemstones, jasper, swarovski crystlas, flatback rhinestones, animal print, acrylic, glass, ceramic, silver, jade, lampwork, clasps, round, sqare, oval, stars, hearts, leopard, zebra, stripes, polka dot...just to name a few of our wide variety of cool cowgirl beads. I said it first...Step into our arena and get your cowgirl on!! 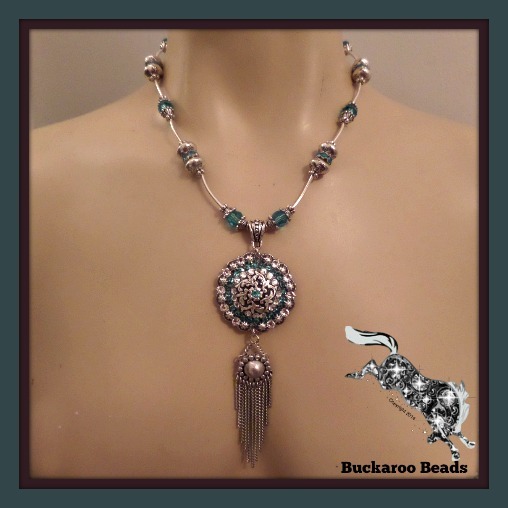 We love to cater and pamper all the soulful cowgirls, that be city or country gals, with our collection of Buckaroo Bead Jewelry making supplies. 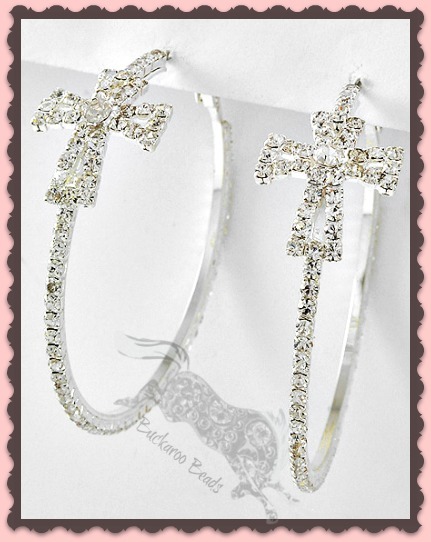 It's a cowgirl thing so get your cowgirl bling! 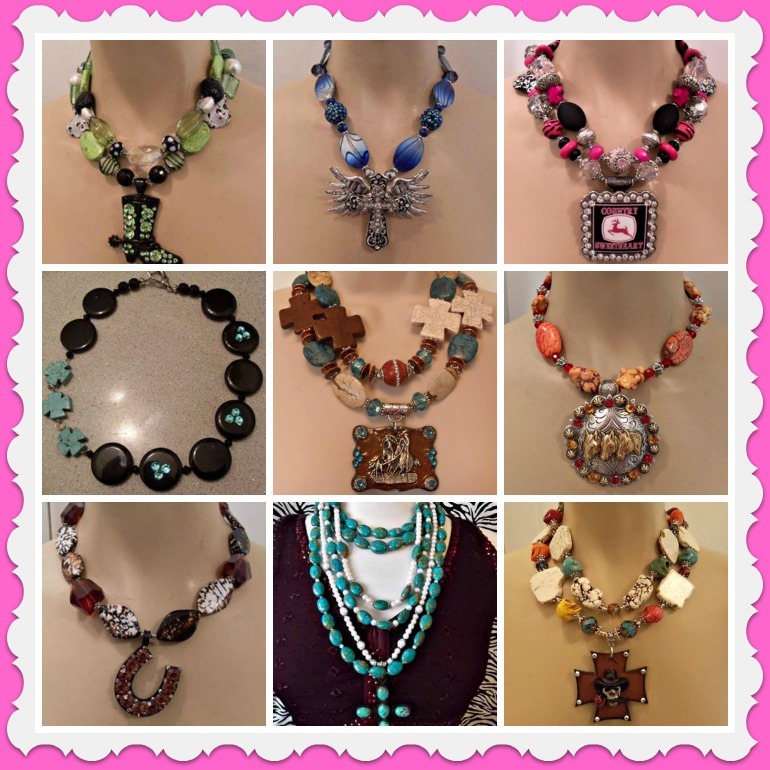 From ranch Divas to runway Cowgirl; From classic fashion to grunge; from trendy tweens to Rodeo Queens; to the sort of twisted fun and cowgirl couture, you can now make it yourself knowing that your piece is made from quality gemstones and bling from Buckaroo Beads. Whether your fashion tastes favor country or rock, every fashionista will benefit from our own western inspired chunky strands of exotic beads. Statement necklaces, rhinestone cowgirl flip flops by hide n sole, Montana West turquoise nugget watches, trendy fashions, wild animal print bracelets, domino pendants, the most popular magnetic closure pendants, rhinestone dog collars, embellished buckles and conchos adorned with Swarovski crystals. Leather, animal print, western and fashion handbags are a must see. Proudly serving the USA Military Men and Women! You must see our Marine, Navy, Army, Air Force, National Guard handmade jewelry by Hannah of "Silent Rank Designs". Give your own "hooves" a rhinestone treat with our wide selection of flip flops, featuring camouflage pistols & pink Cowgirl Flip Flops! 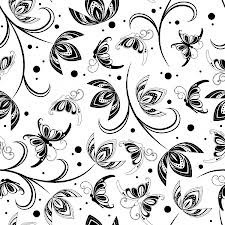 You will also be suprised to find plus size fashions and belts for the curvacious full figured cowgirls. We invite rodeo girls, ranch divas, punchy cowgirls, horse enthusiasts, dreamers, or even if you are just a cowgirl at heart, to unsaddle and and visit a while. Many beads to offer: Turquoise, chunky, chunky beads, funky, funky beads, cowgirl beads, haute beads, cowgirl, cowgirl necklaces, handmade, hand made, bling, blingy beads, pink, fuchsia, hot pink, turtle, pressed, magesite, howlite, buffalo white, red, yellow, green, lime green, purple, maple, orange, apricot, butterscotch, round, rondelle, disc, chips, rectangle, oval, square, cross, pendant, twiwt, doughnut, cabachons, peace, sugar skulls,barrels, eggs, cube, fleur de lis, angel wing, leaf, brown, black, hopi, native, indian, navajo, charms, fetish, bear, kokopelli, horse, southwest, tribal, western, zebra, cheetah, leopard, shell, nuggets, gemstones, dalmation, acrylic, lucite, silver, sterling silver, brass, copper, toggles, lobster clasps, bling, swarovski crystals, fire and ice, opal, jasper, onyx, glass pearls, ceramic, clay, jade, sardonyx. 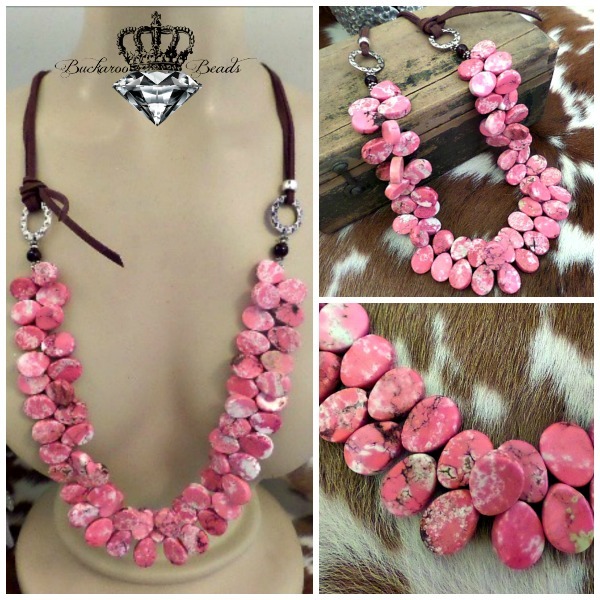 Custom Cowgirl Jewelry, Handbags, Clothing and more! Cowgirl tuff, Stetson, Old Gringo Boots, Corral Boots, AG Denim, Seven Jeans. Vocal, Velvet Stone, Miss Me Jeans, Urban Mango, Rebel Rose, Tumbleweed, Dear John, Justin Boots, Ariat Boots, Big Buddha, Wrangler, Pendleton, Capri Blue Candles, Panhandle Slim, Key, Dang Chicks, Ali Dee, Umgee USA, Go Girly, Umgee Plus, Jack N Jinger, Cruel Girl, Nick and Mo, Urban Mango, Same Spirit Jewelry, Yahada, Cowgirl Jewels, LA Idol, Ya, Grace in LA, Me'chant, ATX Mafia, Gypsy Soule, Cowgirl fashions, Funky Dresses, stylish Cowgirl Expressions, sparkly jewelry, purses, hand painted shoes, country boutique, blingy flip-flops, and more! Great Brands like: ATX Mafia, DANG, Bandit Brand, B.B. Simon, Ariat, American West, Aura, Bejeweled, Boulet, Boss Lady, Cowgirl Tuff, Cruel Girl, Double D Ranchwear, Equibrand / Classic, Miss Me, Montana Clothing Company, Kippy, Montana Silversmiths, Paige Wallace, Pendleton, Ed Hardy, Rocki Gormann, Rocky,Skinny Minnie, Texas Couture, Wrangler, Punchy Cowgirl, Cowgirl Justice, Katydid, and more!